All preschoolers with rich imagination who love to picture themselves in control of their worlds will love Harold and the Purple Crayon book. 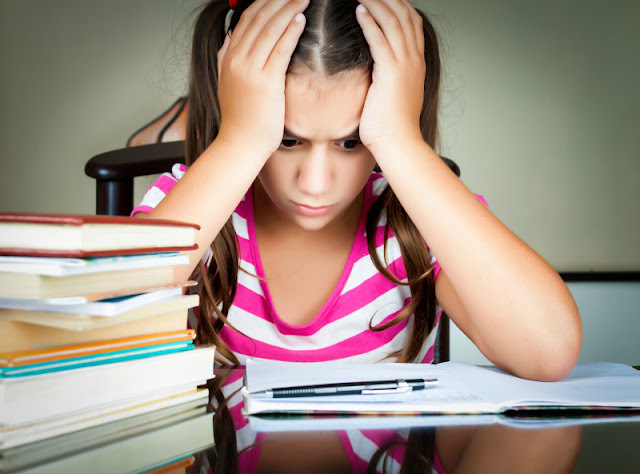 They will also love these playful activities to go with it. 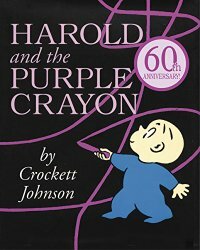 Harold and the Purple Crayon by Crockett Johnson is special to me, because it's one of the first books Smarty read completely independently. She was 3 and a half then. I brought the book home from the library, Smarty grabbed it, hugged her favorite kitty toy, settled herself at the table and proceeded to read it aloud. Shall we just say that she never stopped since. The story itself is simple, but the power of the story is in the illustrations that unfold as a young main character of the story creates his own world around him. It's hard to believe that Harold would be a grandfather by now, since the book was first published in 1955. Books like Harold and the Purple Crayon age gracefully and continue to delight new readers of every generation. 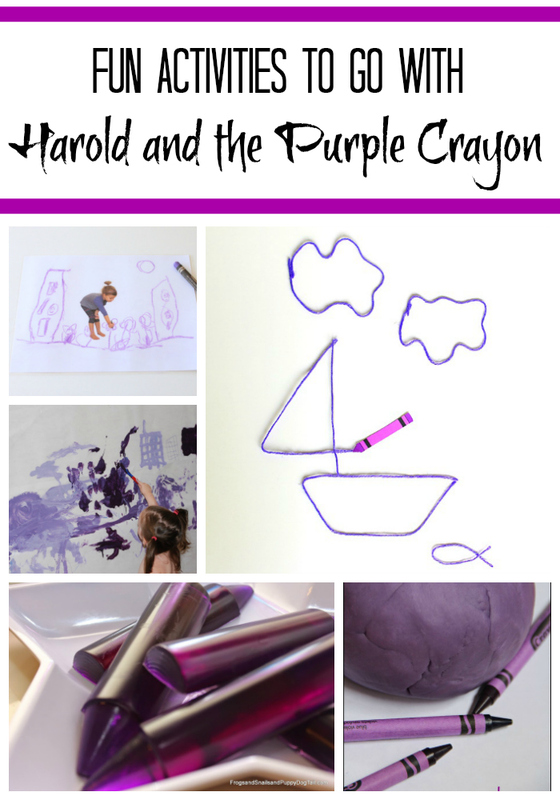 Have you read Harold and the Purple Crayon to your kids and did they enjoy it? We love this book. It is read often in our house. I love the stories Anna makes up. 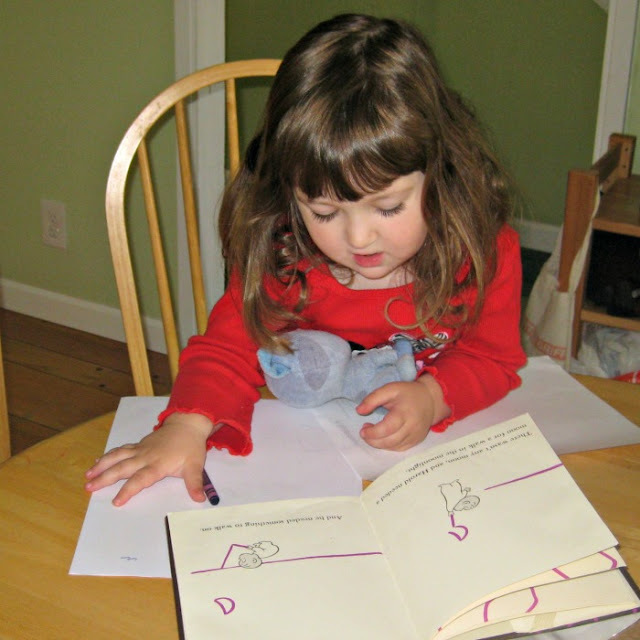 We love the Harold books - I think we have three of them now. We're having a drawing burst here, finally. I think that from a fine motor skills standpoint, Tornado Boy is just more ready for it. 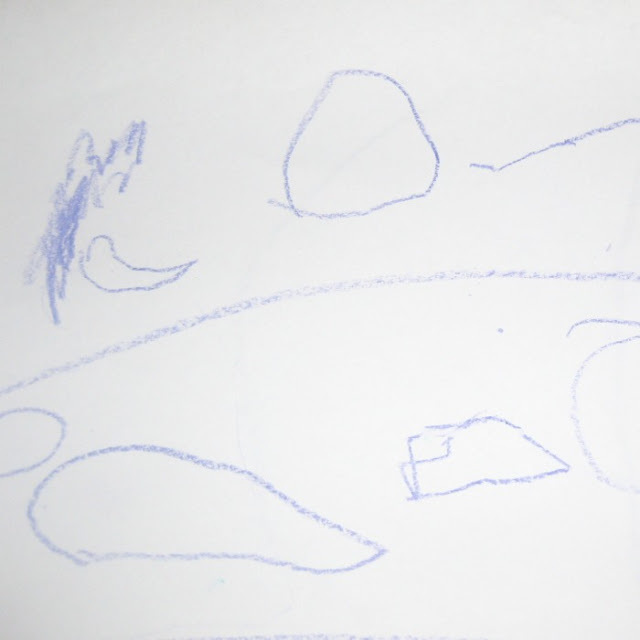 The other thing that we're doing is breaking pictures into their base shapes to help him visualize how to create a particular object on paper. We love the Harold books here - I think we have three of them now. We're having a drawing burst here, finally. I think from a fine motor skills standpoint, Tornado Boy is just more ready now. We're also working on breaking items into their basic shapes so that he can start to visualize what he wants to create on his paper. Harold and the Purple Crayon was one of the first books I remember my dad reading to me as a child. It continues to be one of my favorite books -- and Harold's continuing adventures always make me smile! What a great StArt book! Hopefully Anna will like some of the sequels better. Today was the first day that Emma drew something based on a book - she drew the angry pixie from Enid Blyton's book "The Faraway Tree", which I read aloud to the kids while they played. I'd guess the sequels will get a better reception, I think there's one about a castle. Either way her stories are as always fun to read. I love the Purple Crayon! I wonder if JC will like it? You and other bloggers are remindng me to do some art posts! ohh that book as been on my list of ones to take out too :). I hope she will like the sequels better! We have not read that title yet despite its popularity. I just keep forgetting to search for it! We haven't read this book in awhile, I will have to check it out the next library trip! I don't know why, but I've never been interested in the Harold books. I should probably float them with my girls and see how they're received... seems like so many people love them! I love this book! What a great jumping off book! This is one of my all time favorite children's books, but it could have something to do with my "imaginary drawings" all over the walls of my parents' house when I was a kid. What a cute book! Must see if I can find it here! I love this book. I also have an anthology of the other books. I don't think they're "sad," but it's been a while since I've read them.